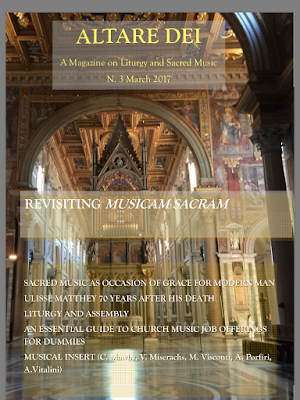 Maestro Aurelio Porfiri is pleased to announce the publication of Issue 3 of Altare Dei. (The contents of Issue 1 and Issue 2 were published at NLM when they appeared.) 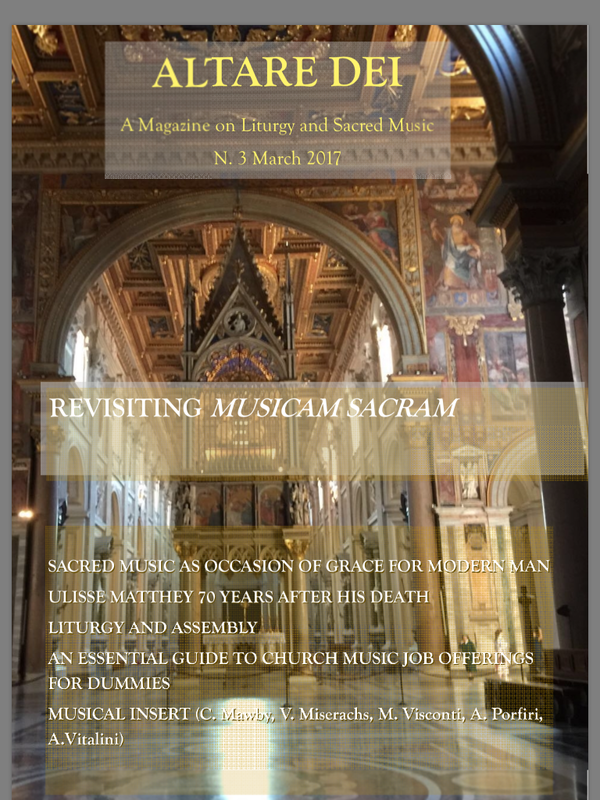 Once again, there are many fine articles in this issue, not simply on music but extending to the other sacred arts and beyond, embracing speculative as well as practical matters, and including the characteristic insert of sheet music, this time comprising five pieces. The issue may be purchased here for 6 Euros.